Final Balance for Antarctica trips will be due 100 days prior to trip start date. We will be guiding expeditions to Mt. Vinson in the 2018-2019 climbing season. Contact us for more details on joining one of the upcoming departures. Want to learn more about climbing Mt. Vinson, the highest mountain in the Antarctica? Contact us today and we will give you all the info you need. Join us for a climb of this pristine Mountain located in the heart of the Sentinels. This remote and demanding expedition is an incredible journey to the end of the earth, just 750 miles from the South Pole. First climbed in 1966, Mt. 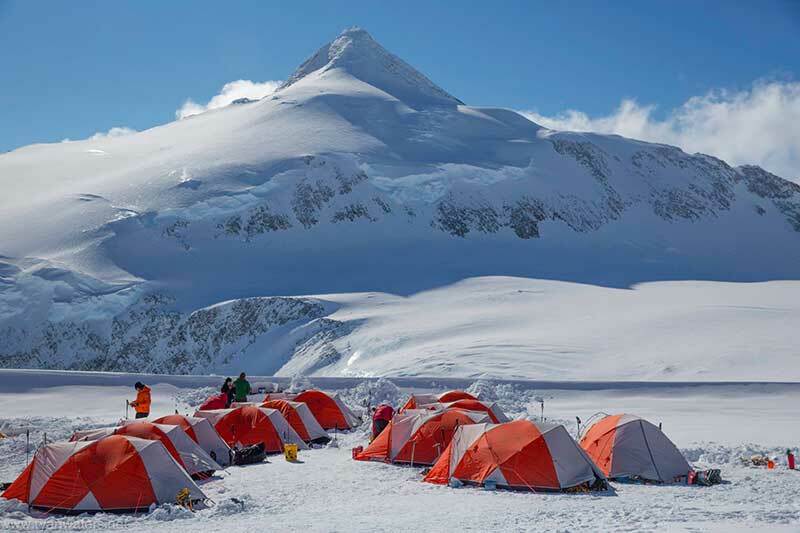 Vinson is the highest mountain in Antarctica and an excellent choice for the mountaineer who has experience with extreme weather conditions and a solid background of previous high altitude climbing. 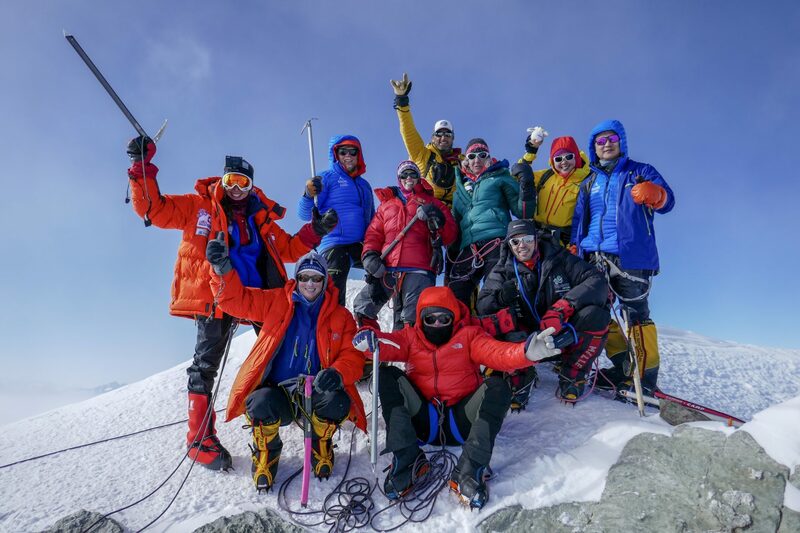 This mountain is a common goal for the 7 summits quest to climb all of the highest summits on each of the seven continents. Mt. Vinson is the perfect next step on the road to peaks such as Everest with Mountain Professionals. Our trip begins in Punta Arenas, Chile. 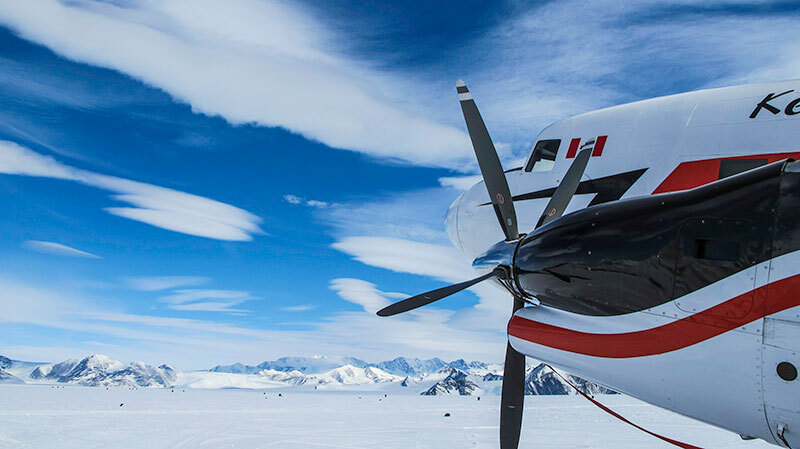 We will take a 4-hour transport flight to the Union Glacier camp on the Antarctic Continent. As soon as weather permits, we will be transported to the Sentinel Mountain Range and the base of the Vinson Massif via Twin Otter Airplane with all the supplies and equipment needed to make a self-sufficient ascent of the mountain. The route travels via moderate snow and ice slopes of the Branscomb Glacier and is moderate in technical difficulty, however we climb with extreme care to avoid crevasse dangers while on the lower mountain. Our team will travel using snowshoes and will use glacier travel techniques as a rope team. We will utilize two camps on the mountain above base camp. Each of these camps will allow us to move our equipment successively higher on the peak to allow us a summit bid from our high camp location at the top of the fixed line headwall. The summit day is an amazing climb in the 24 hour sunlight of the Antarctica Summer. 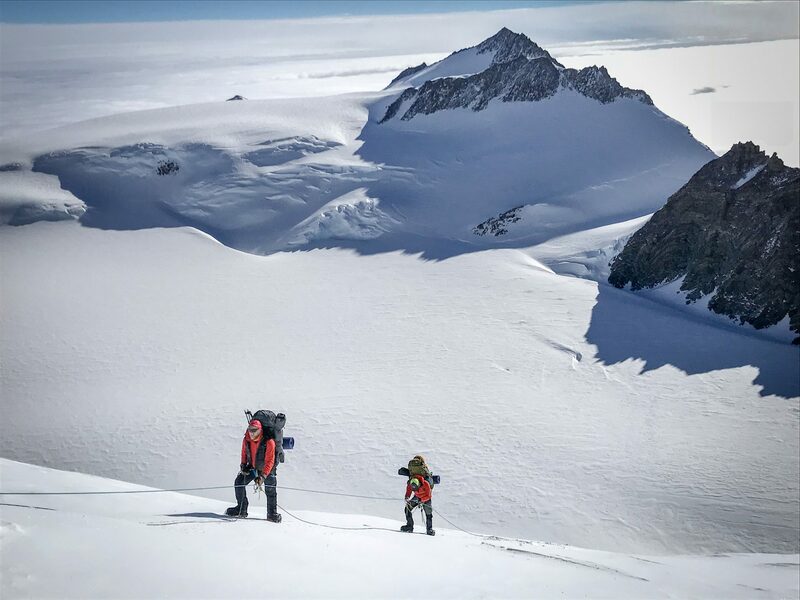 Although the summit day is cold, the climbing route is relatively moderate in technical difficulty and team members with good determination and appropriate training will enjoy a successful climb to the summit of Mount Vinson.